Provide comfort for the family of Freida Rose with a meaningful gesture of sympathy. 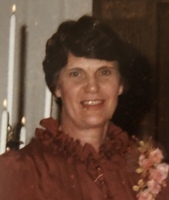 Freida Bright Rose, 87, of Athens, died Friday, April 5, 2019 at NHC of Athens. She was a native of Loudon County and longtime resident of McMinn County, she was a daughter of the late W.L. Bright and Margaret McKinley Bright. She was also preceded in death by her husband, Gordon Rose, a daughter, Cathy R. Jones, sisters, Carole Jane and Betty Ann Bright and brothers, W.L. Bright, Jr. and Ron Bright. Freida was a member of First Baptist Church of Athens. She is survived by two daughters and sons-in-law, Linda and Carl Fleckner of San Diego, Cal and Nancy and Silas Biddison of Kingsport; two sons and daughters-in-law, Bruce and Kathy Rose of Hendersonville, TN and Paul and Kristen Rose of Johnson City,TN; nine granddaughters, Sarah (Jason) Underhill, Rachel (Doug) Murray, Callie Fleckner, Bethany (Nick) Perry, Victoria (Neal) Wilson, Emily (Kyle) Cothran, Anna (John) Ross, Kara (Matt) Conley and, Krista Rose; three grandsons, Andrew (Stephanie) Jones, Matthew Rose and Max Fleckner; and thirteen great grandchildren. A funeral service will be conducted 2:00 pm, Tuesday, April 9, 2019 in the chapel of Smith Funeral Home with Rev. Andrew Jones officiating. Interment will follow immediately in Cedar Grove Cemetery. The family will receive friends Tuesday from 1:00-2:00 pm at the funeral home prior to the service. The family suggests contributions be made to the Alzheimer's Association NE/SE TN Chapter, 7625 Hamilton Park Drive, Suite 22, Chattanooga, TN 37421. 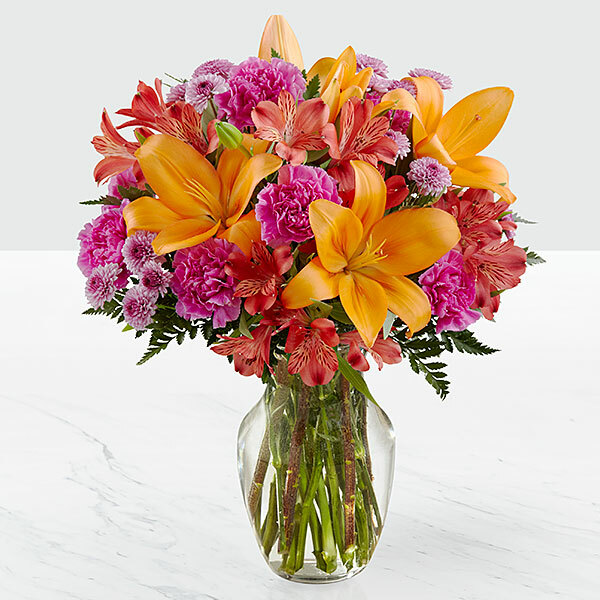 To send flowers in memory of Freida Rose (Bright), please visit our Heartfelt Sympathies Store. A Brighter Day Pediatrics, Sue, Mindy, John and Steve, and others have sent flowers to the family of Freida Rose (Bright). A Brighter Day Pediatrics purchased flowers for the family of Freida Rose. Nancy, I am so sorry to hear about your mom. My best to you and the entire Rose family. So many wonderful memories of Freida to cherish and, hopefully, to bring you peace and comfort . Our deepest sympathy and love to you all. Sue, Mindy, John and Steve purchased flowers for the family of Freida Rose.